Pregnancy can be a time of high anxiety because you don't want to do anything that will hurt your baby. It comes with all sorts of new physical sensations and experiences. When something feels different, or you have a question, it's natural to want immediate resolution by finding the answer yourself. Is there a place that instantly puts you at ease? This can be anywhere from your bedroom or garden, to the local library or the spa. Wherever this place is, spend as much time there as possible while you're pregnant. You can even create a cozy space by adding your favorite books, candles, and lots of warm blankets and pillows. 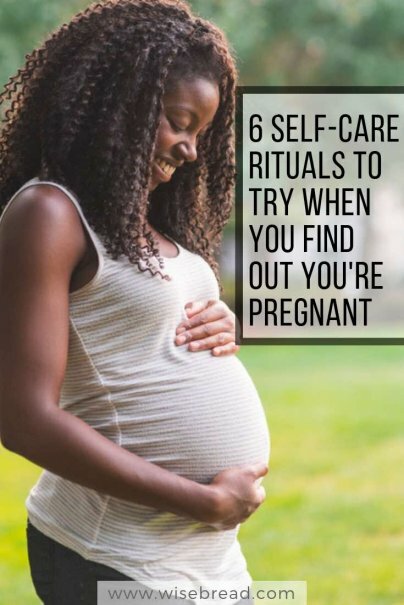 If you're feeling nervous or your pregnancy has brought up a lot of unknowns about your future, it can be hard to feel anything but dread. Set aside some time each day to remember why being pregnant is worth whatever you're going through in the moment. Soon, you'll have a child to love and nurture, and you'll get to watch them grow up. You should also keep in mind that your body is doing something truly incredible while you're going about your day. You're creating a life inside your body. That's amazing. And there are women all over the world who have gone through it, and are going through it now — so you can find comfort in knowing you're not alone in this process.